The first, the active service user approach, constituting roughly just under a quarter of the sample showed the strongest identification with the consumer ethos…These students typically referred to themselves as ‘users of a service’ or ‘paying customers’ and perceived the consumer position to be legitimate and something contemporary learners should embrace. What particularly struck me from the findings was the notion of ‘transparency’ and Tomlinson’s finding that in return for their higher fees, many students (not unreasonably) wanted ‘highly transparent and effective modes of delivery by providers who were “receiving” the costs students were incurring’ (p.29). As I was listening to Michael Tomlinson talk about this during the webinar, I was thinking ‘where do (or can) learning outcomes fit into this?’ Are they, for example, one way in which students can achieve greater transparency about the learning process that they will be undertaking? The pre-defined outcomes give an overall direction or pathway that students will be following throughout the module or course, and of course, they explicitly identify what students should be expected to know or do at the end of that particular learning journey. Obviously, I am aware of the arguments that the pre-specified nature of learning outcomes may narrow learning or inhibit creativity/flexibility within the learning process (see for example Hussey and Smith 2002 and Buss 2008). My previous blog posts show that I am concerned to use learning outcomes in ways that do not lead to learning being narrowed or restricted. But it does appear that the more broader, pre-defined learning outcomes may have a place in creating some of the transparency that some students seem to want now within a more consumerist framework of higher education (HE). Even if they don’t identify themselves as consumers, or if they actively reject the positioning, it is still reasonable to expect that they would want more detailed information about a program or course that is (or will be) costing them a significant amount of money. I think what I am basically saying is that Tomlinson’s findings suggested to me that we need to now start looking beyond some of the binary oppositions that can often be quite apparent in the HE literature – e.g., HE as a public good – good; consumerist framework of HE – bad, or learning outcomes as an aspect of student-centred learning – good; learning outcomes as a managerialist accountability tool – bad. The students’ comments suggest we need to start thinking about some of these aspects in more nuanced terms because the reality (or realities) of the situation are always more nuanced. Tomlinson shows this with the three types of student positioning that he identified – students are not just accepting a consumerist identity and acting accordingly, the situation is in fact more nuanced (which I’m sure most academics will agree with from their experiences with their own students). 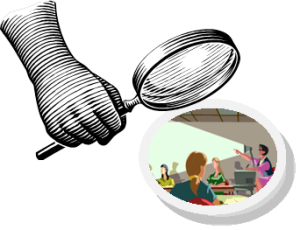 So learning outcomes could be used in a way to provide some of the transparency some students are looking for, but it doesn’t mean then that a learning outcomes approach is simply a consumerist accountability tool. Yes, perhaps a learning outcomes approach does provide elements of accountability but that does not mean that it can’t support student learning as well. My previous post encourages teachers to think about how they could get students involved in devising more specific learning outcomes, to complement the more broadly pre-defined learning outcomes, as their courses and modules progress. In another post, I discuss Svanstrom’s idea of ‘broad education and learning’ outcomes, which focuses on developing students’ social and ethical responsibilities and is the framework that the more specific discipline-based learning outcomes are created within. These posts show that there is a great variety in how a learning outcomes approach can be applied – hence, the implementation of such an approach is much more nuanced than is often suggested in the HE literature. 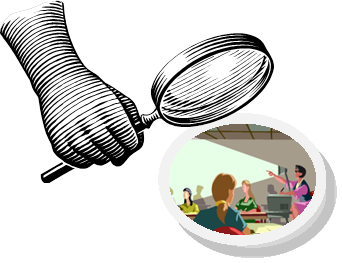 And, it can support a number of motives – it can support student learning whilst also providing some form of transparency within the process (what some may call accountability). Tomlinson’s report is very timely for the sector to start hearing students voices about issues that are often discussed and dissected at length through various academic forums, but perhaps rarely with students themselves. In relation to my own ‘Learning Outcomes Project’, the findings reinforce my views that more valuable and worthwhile discussions need to be had about aspects like learning outcomes, and these can only occur if we reject the binaries and open ourselves instead to exploring and embracing the nuances.